Do you cut the tops off cabbage plants? I have tops growing out of my cabbage plants. Do I need to cut the tops out? It sounds like your cabbage plants may have "bolted". Bolting is when plants such as lettuce, spinach, and cabbage send up shoots called seedstalks that produce flowers, and then seeds. In your area, spring crops of cabbage are subject to premature bolting before forming a cabbage head. Some cabbage varieties are more prone to bolting than others. Cutting off the tops of the plants will not solve the problem, as cabbages don't form heads after bolting. You will need to replant. I would talk to an expert at your local garden center, and ask which cabbage variety they recommend planting, and when it should be planted for best results. My kale is regrowing this spring. Will it be good or should I start with fresh plants? My best suggestion is to pick a few leaves and try them. If they are tender and taste good; great. If the kale leaves seem tough or bitter-tasting, then you can start again with fresh plants. When to transplant broccoli plants from seeds? I am starting my vegetables inside from seed. I have a five-shelf portable green house, purchased from Lowes. Why do my broccoli plants (from seeds) seem to have stopped growing in height? They are about 3-4 inches now. Do young broccoli plants need to be cut back? The stems are very long with two little leaves. Make sure the broccoli seedlings have enough light. It is also important that the soil be damp but not soggy-wet. Broccoli is a cool-season plant, so the seedlings prefer cool temperatures. Some gardeners transplant their broccoli seedlings if they are too lanky. They can be carefully planted deeper (about half-way up the stem)in potting soil. Are the first leaves that sprout around the cabbage safe to eat? Yes, they are safe to eat. Hopefully, they will taste great also! Sometimes they can be strong-flavored, tough, or a little bitter tasting. So just check the taste and texture before you serve them for dinner! Do Rapini Plants Require Full Sun? First can I grow rapini (also known as Broccoli Raab or Rabe) in pots? How many seeds in what amount of space and how deep (in inches please)? I know that tomato plants are direct sun is it the same for rapini? Also, when you cut it does rapini continue to grow or is it done? Rapini is my most favourite vegetable and I was very excited when a friend gave me seeds last falls. I did not even know you could buy rapini seeds. I am just bursting with enthusiasm to try my hand at growing rapini. Rapini plants will grow in full sun or partial shade. They are a "cool weather" plant; which means that you can plant them in the spring or fall. They will "go to seed" quickly in hot weather. Plant the seeds 1/2 inch deep, about 4-6" apart. You can plant them in containers if you need to, but they will probably grow better in the ground. When the rapini seedlings are about 2.5" tall, you can thin the plants to 11-15" apart. This will give them the necessary room to grow. Keep the soil evenly moist, but not soggy wet. Harvest the individual shoots of the plant when they are budding, but not blooming. As long as the plant continues to grow new shoots, you can continue to harvest the shoots when they are ready. Rapini will grow quickly during warm weather, so be sure to check the plants every day, as the shoots will bud and bloom very quickly. Last year I grew broccoli and it didn't grow any heads, but went straight to flowering. What, if anything, can I do to make sure it doesn't happen again? Broccoli is a cool weather crop. If the weather is too warm, (both daytime and/or nighttime temperatures), the plant will not form heads, but will go straight to flowering. Check with a local expert gardener, and find the recommended time for planting broccoli in your particular area. Sometimes even if you plant at the recommended time, the weather conditions won't cooperate, and a particular vegetable will have a difficult time that season. We had a very much cooler than usual summer here in Oregon last year, and therefore it was an excellent year for broccoli in our area. But it was one of the worst seasons ever for tomatoes in our location. That's gardening! Brussels sprouts are a "cool weather" crop. They are a member of the cabbage or Brassica family. In zone 8, they are a winter crop. You can plant them in December. They take about 90-120 days to reach maturity. A large amount of my broccoli has bolted. Should I cut these back or pull out the entire plant to save the rest of the plants and if so can I use the flowers in cooking? You can use the broccoli in cooking if it still tastes good. Once the plants have bolted, eat what you can from them, and then pull the plants out. You can plant something else in the spot, or wait for next year! Cabbage Plant in a Pot? My daughter is raising one cabbage for school. We don't have a garden at our home in Southern Ohio. Can we plant the cabbage seedling in a flower pot? If so, what size should we use? We are new at raising vegetables so we welcome any tips you have. You can plant the cabbage seedling in a pot; one gallon size should be sufficient. It will grow best in a sunny location. I would water it whenever the soil feels dry to the depth of about 1-2 inches. I haven't raised cabbage in containers, so I am not sure if it will reach maturity, and form an actual head of cabbage eventually. But you and your daughter can enjoy watching it grow, and get some gardening experience at the same time! 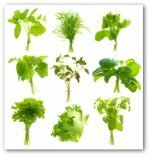 It is pretty easy to raise lettuce in containers, so if you are thinking of starting to vegetable garden, that would be a good easy and useful vegetable to begin with. Lettuce doesn't need full-sun to grow; in fact it prefers to have some shade during hot weather. Do Cabbage Form Heads without Tieing? We have both red and green cabbage planted in our garden. The plants have lots of leaves, but no heads are forming yet. Someone mentioned that we should tie them. Is this correct or do we just need more patience? Cabbage plants will form heads on their own if they are planted at the right time of year temperature-wise, and if they have adequate fertilizer and water. If all is well, after the plant is established and has grown some leaves, you will see the cabbage leaves begin to form a head in the center. The process takes about two to three months on most varieties of cabbage plants. Cabbage is a cool weather plant; they do best in the spring and fall weather. The plants won't form heads in very hot weather, or when the temperature is below 40-45 degrees Fahrenheit. Cabbage plants also need adequate water and sometimes fertilizer, depending on your soil, to develop properly and form heads. 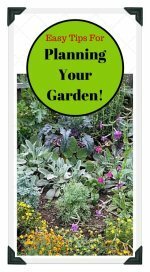 Be sure to follow the planting and watering instructions found on the cabbage seed packet.